As reported on Bloomberg.com, Canadian building permits ended 2018 with the biggest gain in nineteen months, beating expectations and adding to evidence of continued construction strength. The value of permits rose 6 per cent to $8.8 billion n December, Statistics Canada said Wednesday from Ottawa, the largest monthly gain since May 2017 and the fourth consecutive increase. Economists surveyed by Bloomberg expected the value of construction permits to contract by 1 per cent. 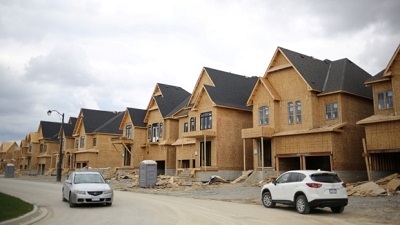 The surprise gain reinforces the changing focus of housing construction in Canada. The 4.2 per cent gain in residential permits was largely driven by multiple unit housing, which jumped 11.1 per cent to a record $3.3 billion. Conversely, the value of permits for single-family dwellings dropped 5.4 per cent. Gains in commercial and industrial permits also contributed to the strong December tally, rising 14.6 per cent and 11.9 per cent respectively. Those increases brought the total value of non-residential permits up 8.9 per cent to $3.5 billion. Consumption and residential housing in Canada have been markedly weakened amid higher interest rates and tighter mortgage rules. The strong end to 2018 for permits may partly allay concerns about deeper fallout for the construction industry from slowing residential resales. Regionally, the value of permits in Vancouver rose 26.3 per cent to $1.4 billion, and Toronto permits increased 3.5 per cent to $1.6 billion.